Although Blue Man Group has been delighting audiences for years, there is nothing stale about this beloved and inventive show. The Boston version has run at the Charles Playhouse since 1995. Typically shows are Wednesdays through Sundays, but numerous dates have been added for the holiday season.The long-running hit features three bald and blue individuals taking in the world around them, and (of course!) that world keeps changing. To keep it fresh, creators Chris Wink, Philip Stanton and Matt Goldman have added a big helping of new material. 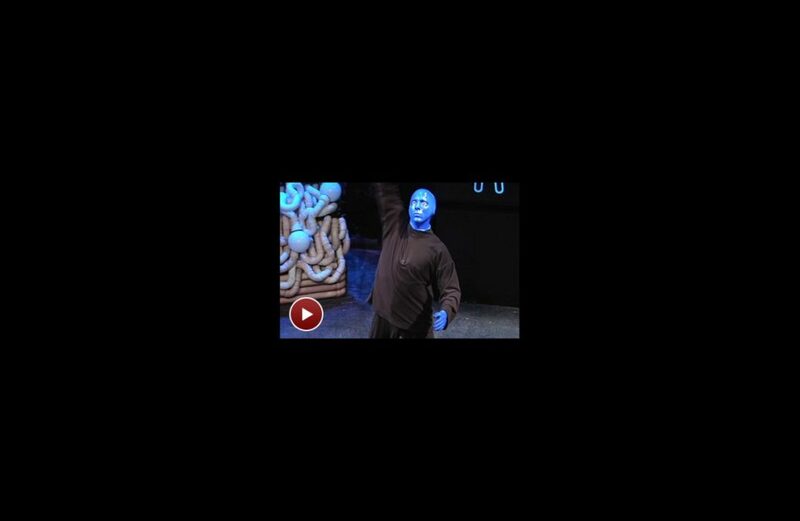 From cutting-edge technology (such as iPads) to winks at pop culture (think Lady Gaga), Blue Man Group continues to enthrall audiences around the globe. Take a look as Broadway.com chatted with the creators at Blue Man Group’s New York home at the Astor Place Theatre about the new tricks they pump into the show.